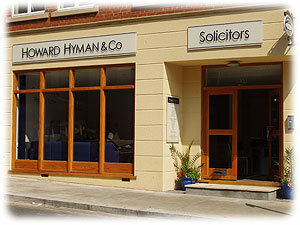 Howard Hyman & Co is an established firm of solicitors which was set up over twenty years ago. The Principal, Howard Hyman qualified in 1979 and has developed a wealth of experience, primarily in conveyancing and matrimonial law. We are accredited members of the Conveyancing Quality Scheme (CQS) and Resolution. The vast majority of our work comes from personal recommendation by satisfied clients. Our aim is to provide clients with professional advice in a caring and efficient way. With Howard Hyman & Co you always come first.